Yearbook classifieds for New Caney yearbooks are listed below. If you want to see if others from New Caney, TX high schools want to make a trade for a yearbook, post your info below. If you are a former student of New Caney High in New Caney, Texas, register now to add your name. I never got a senior yearbook and i'd love to be able to show it to my kids someday. If I could get one it'd be great! I never received mine my Senior Year and after having my class ring stolen and letter jacket thrown out by someone who "didn't know what it was" I would surely appreciate getting my yearbook at least. I was un able to get a year book back in 1997. How do I go about getting a yearbook now? How can I get a year book? 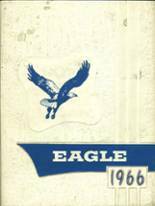 I have Yearbooks from 1984-1988 from New Caney High School and have White Oak Wolves for the year 2007. 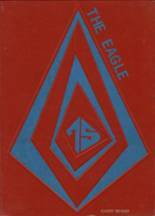 I also have Eagle Echo Middle School for 1980, 1982 (2), 1983 (2). I want $30.00 each for these books. You can call me at (832) 445-XXXX for additional information on the Yearbooks. I'd really like to have the yearbook with my picture in it. I wasn't in all of them so, I'm guessing it would be in one from '84, '85 or '86. It has a blue cover with white hand drawn eagle on the cover. The artist that drew the picture was ronnie goodman. I lost my yearbook in a fire a few years ago. I lost my yearbook years ago; would like very much to replace it if possible. Lost... Would luv any info on getting a new one! I have lost my yearbook from 1982 and would like to purchase a new one.